I have often thought about the role of an intellectual elite and I have come to believe the role of such an elite is to provide definitions. This belief came to me early, in a three point maxim by some thinker whose name is now forgotten—the purpose of the great man is to decide what the ambitions of his Age are, to tell the Age what its ambitions are and, to achieve them. Of course, the intellectual is the great man, the man of letters and ideas shapes reality, is a votary of the God speaking in Genesis, of the same God who asked Mohammed to read. In my theology, there is God, and after Him, there is the Intellectual. My background, should this prove instructive, is that of a second-generation-off-the-farm lawyer in half a century old postcolonial Nigeria. We’ll come together and be strong. At some point, my Principal observed that perhaps these reggae songs have helped sustain the belief, in the West, that “Africa is a country”. At that point, I stated that I did not mind any belief in the West, even the belief that Africa is a country and, more, that I had no problem with Africa being a country. Of course, our Mercedes promptly became an arena of heated debate of the sort possible only between an older lawyer and a younger one. I wholly took up the duties of a contrarian, but I shall spare you the details. What is important from this episode is three things—the genre and substance of Junior Murvin’s line in 1976, the lines from Luciano’s 2010 song it reminded me of, and the significance of the contemporary Africa-Is-Not-A-Country trend of thought. I wish to compare these and make some returns. I recall a curious submission made by Oyinda Cole, central character in the novella The Triumvirate [Olatoun Williams, Malthouse Press, 1992]. Oyinda stated that the distinction between academe in the West and here came down to Africa being intellectually bankrupt and, in consequence, “our academics [intellectuals] are merely acadas. People who gather information just to disseminate it”—archivists of other people’s research, harriers after this footnote or that endnote referenced in someone else’s paper, mimics simply. Without agreeing with Oyinda’s implication of a lack of an indigenous Black intellectual culture, I find myself in sympathy with her. Nowhere do I feel justification for this sympathy than in the very convoluted, sometimes cool and other times shrill, always convincingly dishonest proposition, popular over the last decade and a half, which goes by the name Africa-Is-Not-A-Country. No drawing room conversation, or the conference panel discussion that has replaced it, is complete without a question around this and the distinguished participants going on with little persuasion to present their deductions. The central thesis of this trend of thought is that there are 50+ odd countries in Africa and to this I ask: So what? The supporting thesis is that valuations, discussions, discourse should be centred on each of these components and to this I reply: Why? Both the central and supporting thesis of the Africa-Is-Not-A-Country trend of thought are of course reactions to perceptions of the continent by the West and the irony of this seems to have escaped its proponents. It is not a cause, definitely not a definition. And it is precisely this sort of reactive thinking, with the leprous hand of post-structuralism and the ruin of postcolonial thought visible, that Oyinda dismisses, uncharitably, as a non-existent intellectual culture. I will return to this. The idea of rebel music came to me in the early 2000s, from a TIME Magazine essay. I have mused on it ever since. Rebel music is music that speaks up for the weak and disenfranchised while still speaking, for music is oracular, “the truth to Power”. We imagine, immediately, Bob Marley and Fela Kuti—Redemption Song, Zombie and Sorrow, Tears and Blood and Junior Murvin’s song, Police and Thieves, fit perfectly into this intellectual trend called rebel music. Rebel music and rebel musicians have looked at our postcolonial reality and seen that our states, with borders foisted by European colonial powers, are hideously misgoverned. The borders are false, drawn for someone else’s convenience and what they capture is, in consequence, inherently exploitative and corrupt. 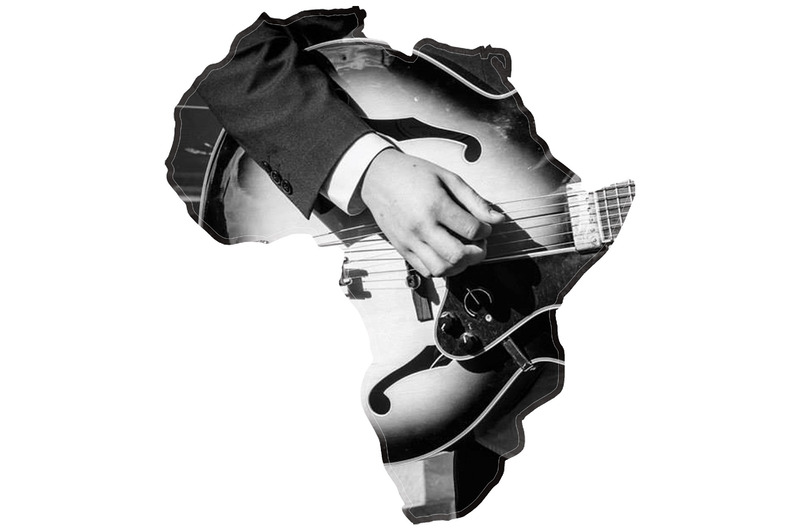 Rebel music and rebel musicians, in further consequence, reject these artificialities in favour of the individual African who supersedes lines drawn on maps. We fear the thing we no see. . .
We fear to fight for justice. . . BUT let me show you how it affects our whole community. Rebel music remains influential, its prophets stay large than life even in death, because they have provided definitions. Clear. Prescient. Positive. The absolute poverty of our present intellectual elite is eloquently demonstrated in the Africa-Is-Not-A-Country trend of thought. They have failed, in contrast to the rebel musicians, to tell us what Africa is. What it is not is quite besides the point. It is true that a tiger does not declaim its tigritude, to borrow Wole Soyinka’s famous quip, but neither does it go on long drawn out fits of barking over its non-dogitude, or squawking about its non-chickenitude, or similar concessions drawn on the true roar of a tiger, made in favour and in honour of the deprecations of anyone who says a tiger is a dog or a tiger is a chicken respectively. To follow the present intellectual elite down to their own kennels and coops, they have failed further to tell us what the countries Nigeria or Algeria or the ethnicities Motswana or Kikuyu mean either. In the supreme snobbishness of negation, in the same breath as the giving up of the very agency of definition, they fail to define anything. It is in this West-centric lockstep that my sympathy with Olatoun William’s character, Oyinda, finds itself firmly ensconced. We have no reason to have a bankrupt intellectual account, no reason to excuse our intellectual elite being merely acadas, yet here they are, not observing and experimenting with ideas, not applying ideas to lives, not inspiring any material culture. For so long as we are reacting to what the West says, for so long as we refuse to DEFINE, we are merely mimics of other people’s voices, moons to suns, adjuncts to predicates. Africa is a country, and Fela, in the naming of his Africa 70 band, knew this just as clearly as Bob Marley did when he sang Redemption Song. Africa is a country because there is a single thing that happened to all of us, all 13% of the world population living in a quarter of the world’s land mass of us. In 1885, the entire landmass and population of this continent was placed on a German table, then formalized and cut in colonial chunks amongst European powers. None of the intellectual predecessors of the Africa-Is-Not-A-Country trenders was there in Berlin to make their arguments. None of them, I daresay, was aware that such a conference had been called. It is this catastrophic event, and the subsequent colonisation, that made all Africans one—one tabletop drawing carved with one kitchen knife, one people, one country. The correct intellectual response to the Berlin Conference should not be a privileging of the chunks drawn by Europe but a statement on the indivisibility of Africa and of the African. Negritude and African humanism were correct intellectual responses led by Senghor and Soyinka—they sought to formulate a broad based response to a broad based assault. But to argue today for an emphasis on component units, as the Not-A-Country trenders are doing, is to have lost the field even before the first shot is fired. It is to not even understand the fight at all. You do not counter depredation with a rationalizing of aspects of it, you bodily throw it out. That our intellectual elite have not done this is symptomatic of the “mental slavery” Bob Marley called out in his music. And the effete nature of this intellectual elite is reflected in the “My people dey fear too much” line in Fela’s song. Where are the bannermen? Where are the stadholders? Who will lead the charge against “the Man”, “Babylon”, against “Police and Thieves”, stand strong for men and women, “rastas” and “the nation”? The books of Babylon, and this is where the lines from Luciano quoted in the first paragraph come in, “preach seperation”—how can we then stand against Babylon and yet practice fractionizing and uphold differentiation amongst the commonly oppressed as an intellectual and ideological ideal? The role of an intellectual elite is to provide definitions. Africa-Is-Not-A-Country, so far as it is the definitive trend of thought of the present intellectual elite, is a cop out. Until the agency of defining is re-taken over by today’s intellectual elite, furthering the attempts made by the first generation of thinkers from the 1950’s to 1970’s, abjuring the confidence trick that is post-structuralism, such an elite can only be a client elite, an elite-so-called only. The enduring popularity of rebel music and the prophets of rebel music lies in their identification with the victims of oppression and charting ways of reassertion, as against theorising definitions foisted by oppressors and generally chasing the footnotes of others. Identity does not need to be simple, it can be nuanced, but it must be coherent. The African identity is such, nuanced but composite. It must be understood, sans pretence and rhetoric and problematization, as being complementary of its components. African countries and ethnicities are complementary genes in the social organism called Africa. Rebel music understands this—from Fela to Murvin to Marley to Luciano to Tupac Shakur. Our present intellectual elite need to understand this. An intellectual elite that is irrelevant is unnecessary. One rebel musician is more valuable than a hundred of these. Africa is a country. Africa is a continent. Africa is a biscuit. Africa is a name. Africa is a coffee mug. This entry was posted in Jalada 02, Jalada 02 Bonus and tagged Africa is a country, Afrofuturism, Bob Marley, Fela, Junior Murvin, Rebel Music, Tupac Shakur. Bookmark the permalink.